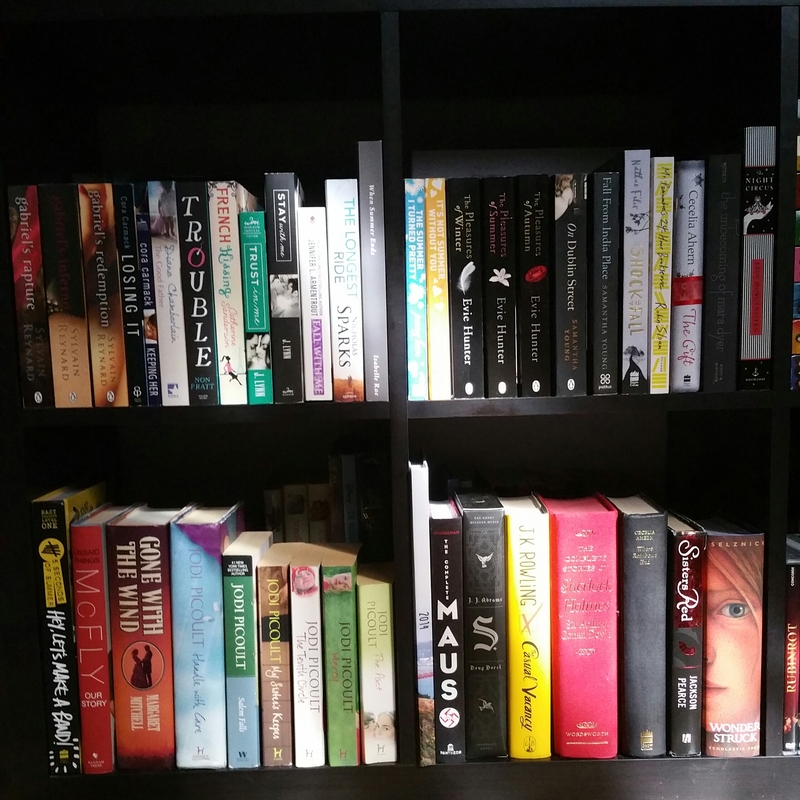 If you’re following me on Instagram, then you might know that I’ve walked with the idea of re-shelving my books for a while. I had no idea how I wanted to do it, or when I’d get to it. But yesterday seemed as good a day as any, right? But I didn’t really think things through that the heatwave would be this bad. I did however do it and I didn’t pass out from the heat either 😉 I should mention that my room is in the attic of our house and that while it’s a nice room to have, it’s on the sunside of the house and that means the sun is on the roof from both sides the entire day. 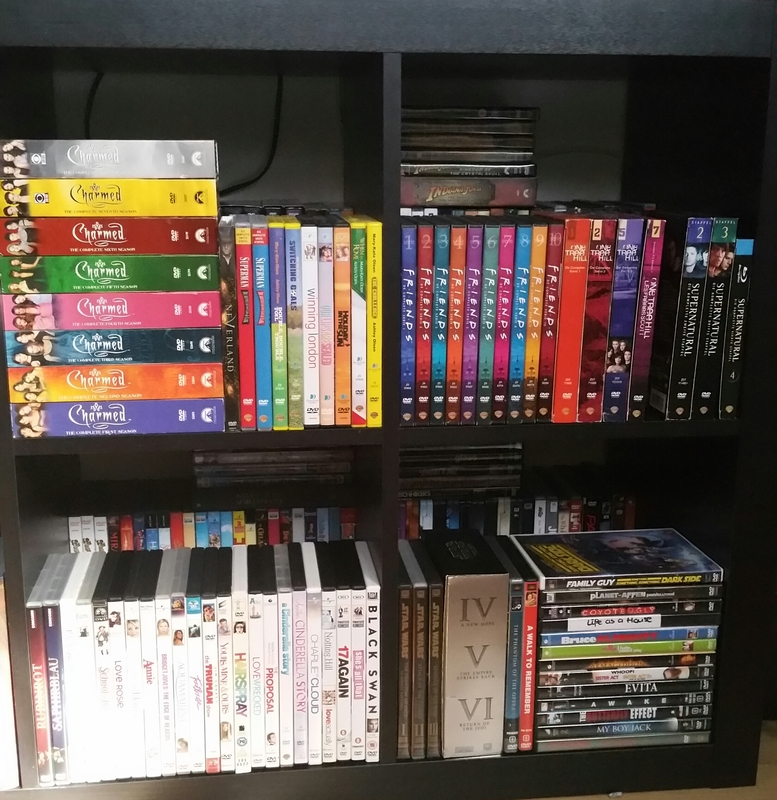 I decided to put my books in a more logical order and that I’d switch around my DVD’s with my books, because I’d create a much better and nicer look for the room (in my eyes that is 😉 ). This is what I came up with! 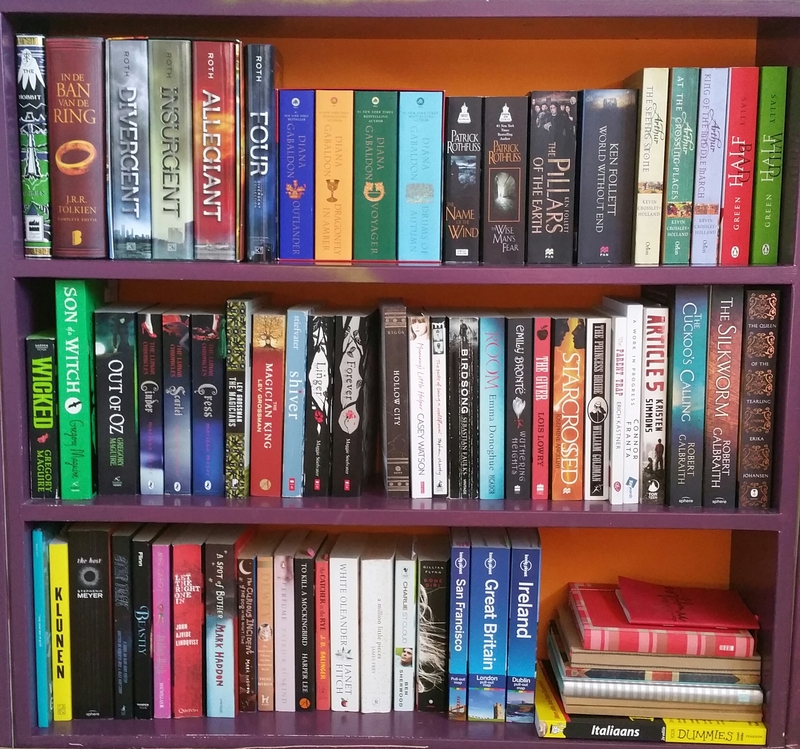 These are my shelves with my Dutch books. It’s missing two books, because they didn’t fit any more and are on the shelf next to this one but I wanted them all together instead of spread out throughout all my bookshelves. 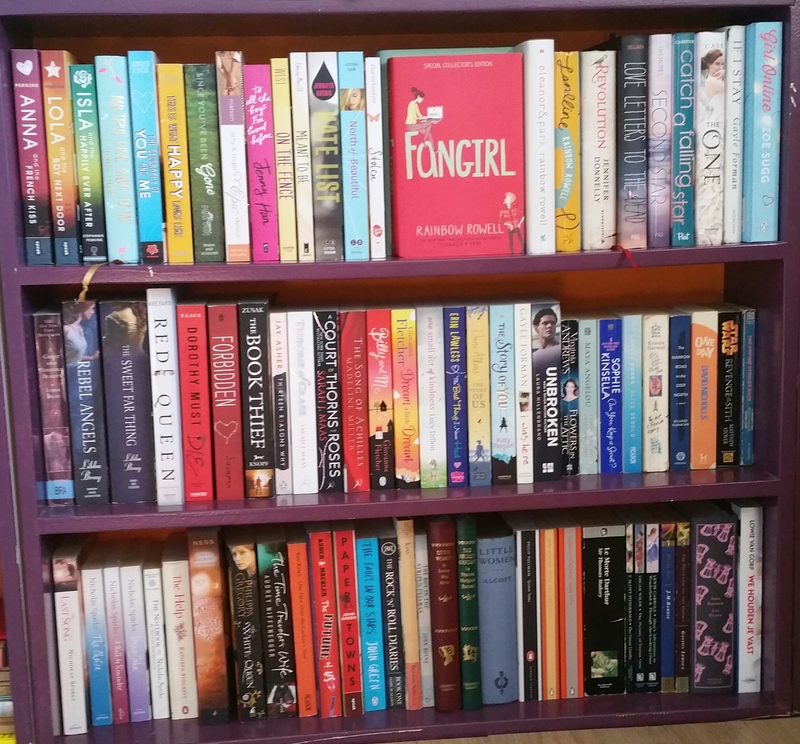 The next shelves hold my Contemporaries, YA, my classics and chicklit. I don’t read a lot of chicklit but I picked up some and I can’t wait to get to them, they seemed really good! I’m not sure what theme this shelf’s got, but while there’s some series at the top, there’s just miscellaneous books on the other shelves because I didn’t know where else to put them, hehe. This is obviously my series shelf. I tried to get as many of them on here but some of them wouldn’t fit and got another spot somewhere else. 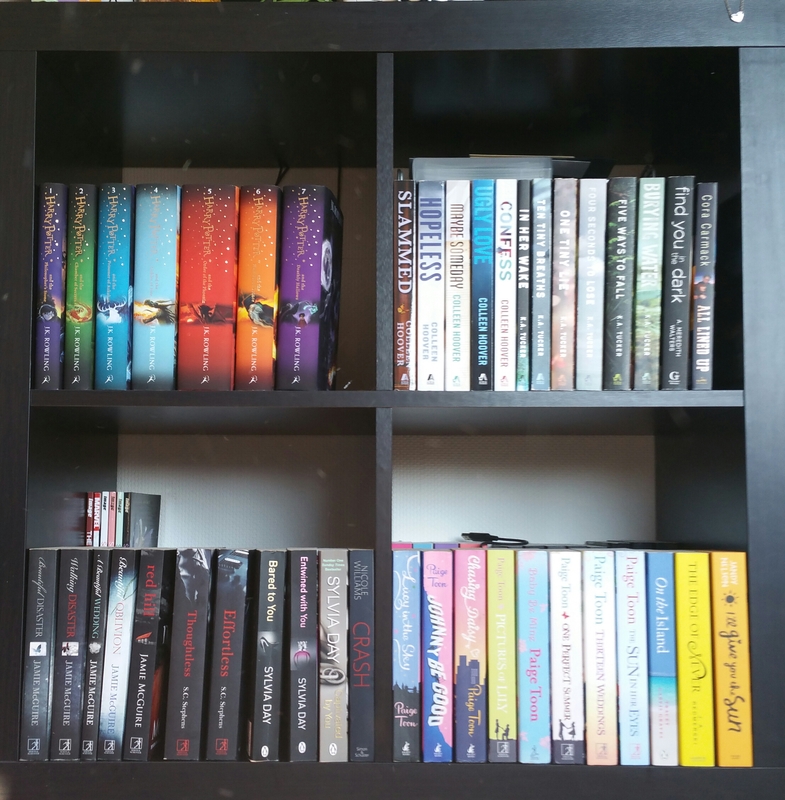 This is probably one of my favourite shelves to be honest, I do love my series, even though (Little House) isn’t complete. Also, Percy Jackson and the Lightning Thief is missing because my sister has this in her room ;). 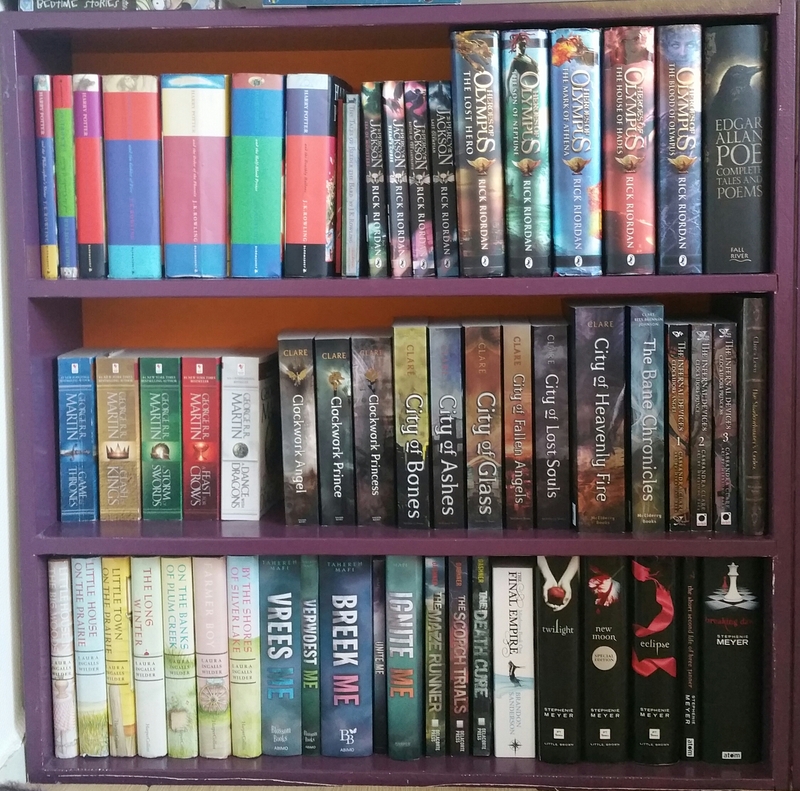 This is the top half of my other bookshelves, which holds my new editions of the Bloomsbury Harry Potter books, my new adult and adult books. And also my Paige Toon books on the overlighted part of the shelves :P. If you look behind the Jamie McGuire books you can spot the top of my graphic novels that are there. Last bookshelves! They hold some more adult books, some new adult and some hardcovers and my Jodi Picoult books. I love her books and I have a few of them but I have yet to read two or three of them! 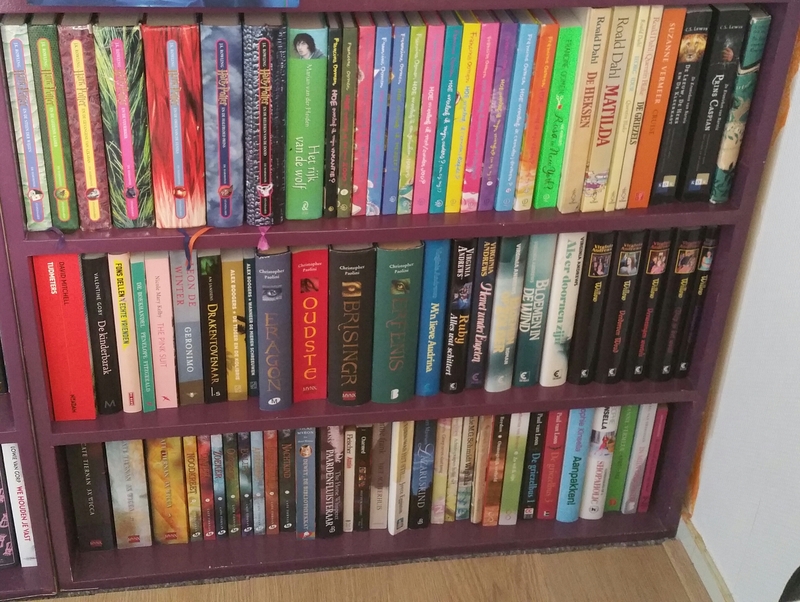 Behind Jodi Picoult you can see some of my children’s books, they’re there because they don’t fit anywhere else!! So that’s that and I hope to see you all again in my next blog post, which will probably arrive next Friday. I have my final presentation then and I hope the next post will be with me saying: I HAVE GRADUATED 😛 We’ll see won’t we?